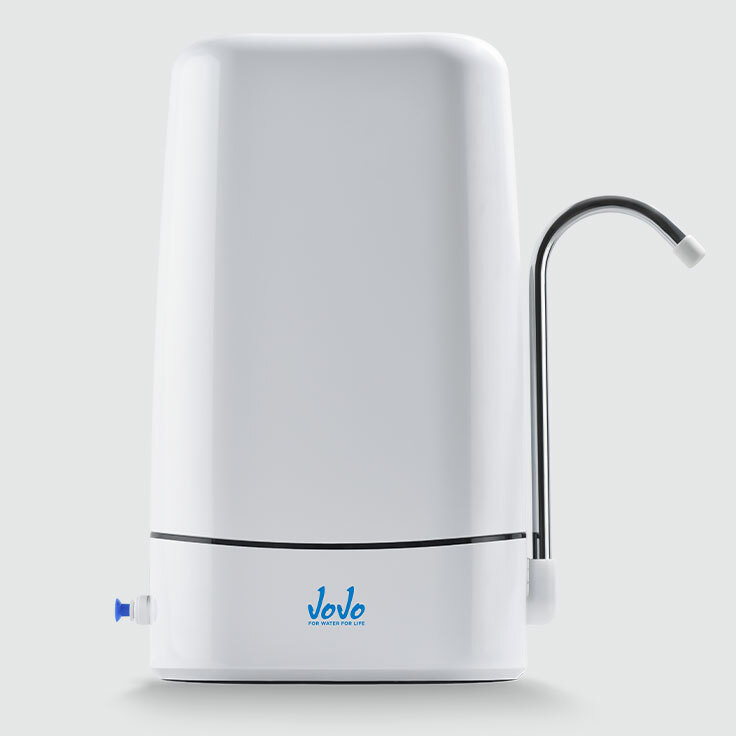 JoJo’s filtration range ensures that you always have clean, safe and great tasting water. Which filtration solution is right for you? The type of filtration solution you require will be determined by your water source, the quality of the water, the desired application and, of course, your personal preference. You could also integrate different solutions depending on your home’s unique water requirements. Point-of-use systems filter water at the point of use and is usually installed at a single water connection, typically under sinks or on top of counters in kitchens. Certain filters, such as filter jugs or bottles, don’t require any installation at all. Point-of-use filters are ideal for producing purified drinking water. Point-of-entry filtration solutions are also referred to as ‘whole-house water filters’. These units are installed at the main water line where the water first enters your home. They treat all the water you use in the house, after which the treated water flows from every tap and to every appliance. Point-of-entry filters are required if the quality of your water is not up to standard and needs to be purified before household use.